The police has achieved a breakthrough in the sensational Satwant Singh Gill case with the arrest of the son of victim on the charge of murdering his own father. The owner of Gill Estate in Kansal village, under the SAS Nagar police station, was found murdered in his bedroom on the morning of August 17. Controversy over the fate of cine star Nirupa Roy over the alleged demand for dowry came to an end with her daughter-in-law, Una Roy, stating in court that she had no objection if Nirupa Roy and her family was granted anticipatory bail, here today. Was Gill murdered by family members? Co-operative house building societies will be allotted lands in Sectors 48 and 49 next month, well placed sources said while adding that the Engineering Department had given a green signal to the provision of basic services in these sectors. In a significant move, which will send warning bells ringing among the city’s 20,000-odd college students, Panjab University has directed its affiliated colleges to increase the minimum lectures attendance requirement for students from the present 66 per cent to 75 per cent from the current session. Mystery continues to shroud the 1987 disappearance of a senior assistant in the tehsildar’s office at SAS Nagar. Even after “sincere efforts”, the Central Bureau of Investigation has failed to trace Jagir Singh of Daulat Singhwala village. Maintaining the conviction of Chandigarh's former Passport Officer Sukhdev Singh Kahlon in a disproportionate assets case, Mr Justice K.S. 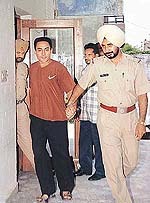 Garewal of the Punjab and Haryana High Court today reduced his sentence from three years to one year. There was no fanfare or flag off by a VVIP. But, the Special Shatabdi train made its maiden run between New Delhi and Chandigarh today much to the cheer of frequent travellers on this route. Memories of August 25 will remain etched for ever on their minds. It was today that Ms Nusrat Jamil and Ms Nasreen Rehman, both daughters of Brig Faiz-ul-Rehman (retd), Pakistan’s former High Commissioner to England, were able to visit Budbar, their ancestral village, as guests of none other than Colonel Kartar Singh Jawanda (retd), their “Sikh chacha”, 54 years after the partition and 21 years after the death of their father. A controversy has arisen in respect of Army authorities routine of issuing “apprehension rolls” to Territorial Army (TA) officers who are reluctant for embodiment. While apprehension rolls are being issued to ensure adequate officer strength in TA units being mobilised for counter insurgency duties. This is a bitter experience of a senior gynaecologist when recently she had to be admitted to the PGI. While she struggled to get down from the ambulance, her ageing husband started searching a trolley for patients, but not without much drama. 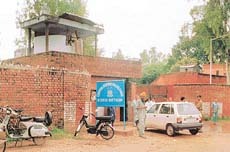 The Model Burail Jail here has 100 employees responsible for internal security 30 of whom are untrained and have been appointed on ad hoc basis. Though the authorities are confident that the present arrangement of an inner circle of 100 personnel and an outer circle of 126 CRPF men are sufficient to take care of about 430 inmates, the past records belie the claim. We are reproducing below the questions raised by the residents of Ward 5, together with the response of the ward councillor, Mr K.K. Adiwal. Question: What is the status of the promised bio-gas plant at the dumping ground in Dadu Majra colony as work has practically stopped there? The condition of the internal roads is rather bad and no tiles have been put in front of the shops. Mocking the efforts of UT police to make Chandigarh a safer city, reckless drivers are endangering lives by carelessly cutting through the break in the median on the road in front of the Police Headquarters and the Education Department in Sector 9. 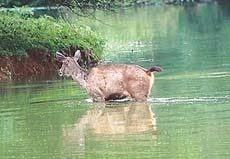 Over two dozen inhabitants of six species in the Mahendra Chaudhary Zoological Park which have escaped from different enclosures over the years are still rambling openly within the zoo premises. The contractor of buses, in the Lion Safari of the Chhat Bir Zoo, is contemplating to move the court against the zoo authorities for not allowing him to ply the buses as per the terms and conditions of the tender. All the seasonal vegetables can be bought anywhere in the city. Fruit sellers are found in every sector and most of them sell vegetables on cycle-rehris while a small number have their permanent centres on the roadside. These fruits sellers are there in addition to the regular rehri-markets in various sectors. Chandigarh Industrial and Tourism Development Corporation Limited ( CITCO) has in a statement asserted that the Hop on- Hop off tourist coach launched in the city last month adhered to the Central Motor Vehicles Rules and without compromising on safety norms certain better amenities have been incorporated in it for the benefit of tourists and other local passengers. With the patent regime coming into operation post 2005 and medicines prices becoming beyond the common man’s reach, nutraceuticals, a natural food derivative, will become a major source of cheap disease preventive diet supplement and replace traditional medicines. Members of the Khalsa Panchayat today held a rally in Sector 17 Plaza in protest against the reported statement of the Union Home Minister, Mr L.K. Advani, where he advocated relief to those Punjab Police officials who had been facing trials in courts for alleged excesses during militancy in Punjab. At an all-party meeting held today at the UT Guest House to take stock of the Chandigarh Housing Board (CHB) authorities’ response to the problem of CHB allottees, it was decided to hold a day-long dharna on September 3 to protest against the attitude of the CHB authorities. Residents of Naya Gaon, Kansal Janata Colony, Adarsh Nagar, Dashmesh Nagar, Shivalik Vihar and Gobind Nagar localities held a meeting here today under the aegis of the Ghar Bacchao Committee. It was presided over by Mr Surjit Singh. The city Mayor, Ms Harjinder Kaur, was honoured at two functions held at Sector 37 and Sector 40 gurdwara on her assuming the office of the Mayor. “This is important not only for SAD but also for the Sikh entire community. Bollywood stopped flirting with them in the sixties. Hollywood is patronising them in 2001 — those musical extravaganzas in which the lead players have their limbs in constant turmoil. 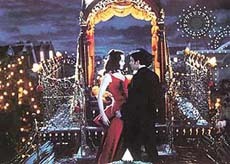 Director Baz Luhrmann’s pot pourri of musical genres “Moulin Rouge” (Kiran) borrows heavily from the Hindi film industry’s “Red Curtain”, a theatricalised cinema in which the audience is aware it is watching a heightened sense of reality. Vijay Kumar, a resident of Diwanigarh, Assam, was sent to judicial custody after he was allegedly caught picking the pocket of a Burail village resident, Mr Ravi Kumar, on Friday. According to police sources, the stolen amount was recovered from the possession of the accused. Vijay Kumar was booked under Sections 323, 380 and 411 of the Indian Penal Code. With a view to promote tourism, the Department of Tourism and Chandigarh Industrial and Tourism Development Corporation Limited (CITCO) has jointly set up a stall in the travel and tourism fair being at Netaji Indoor stadium, Kolkata from August 24 to 26. Role models are fast metamorphosing into ramp models — the thought flashes across the mind of Ms Rakesh Sachdeva, Principal of DAV Model School, Sector 15, as she observes a young teacher from another school putting on a thick coating of lipstick. Thirteen-year-old Meeta and her little cousin, Rocky, clean the cowdung at a dairy in the morning, each getting Re 1 per animal for the job, to contribute to the family’s meagre income. Students at the Bal Mazdoor Sikhya Kendra run by the Punjab Istri Sabha Relief Trust in Phase X, SAS Nagar. Despite resolutions passed by the Senate, there has been no progress towards seeking a quick disposal of the case pertaining to election of Fellows in the graduate constituency. With the Panjab University Dean University Instructions (DUI) having written to the Chandigarh Administration to make arrangements for holding elections to student representative bodies in city colleges, sources state that in case the elections are held, a date in September will be finalised for simultaneous elections in the city colleges. For the 40 students of Government College for Women, Sector 42, the first session in communication skills workshop conducted today at the functional English lab of the college held great significance. 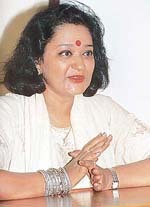 Holding the dais was a promising media personality, Sadhna Srivastava, who had compered the classical music evening for Gen Pervez Musharraf during the Indo-Pak summit in Agra. More than 50 students of Dev Samaj College for Education, Sector 36, participated in an inter-house quiz and fine arts competition held in the college here today. A harmonious blend of music, dance and Indian culture pervaded the Manekshaw Auditorium during Inter Kedriya Vidyalaya cluster level competitions held at Chandimandir near here today. Students of Government College, Sector-46, Commerce department, along with BBA and BCA classes organised a freshers party in the college here today, to welcome the newcomers. Under its “vanmahotsava” project, the east branch of the Bharat Vikas Parishad(BVP) organised the third sapling plantation camp at Government High School, Sector 7C. Over 50 saplings were planted. The doctor involved in an alleged case of bribery for issuing fake medical certificate was today granted bail by a local court here today. The doctor, Asha Kiran, along with her husband, Vinod Kumar, was granted bail on furnishing the bail bond of Rs 25,000, by the UT Additional district and Sessions Judge. The Additional District and Sessions Judge, Dr S.K. Kapoor, today, turned down a revision petition preferred by the Panchkula police against the order of the Chief Judicial Magistrate turning down a request for remanding R.K. Syal, MD, Golden Forests, to police custody. The police has been asked to file a fresh application for police remand of the accused. Jeet Jitender has a passion in life to give ordinary faces a glamorous look with the help of make-up and then to capture this illusion in photographs. This lensman of Patiala is a much sought after man by those who want to get themselves photographed for matrimonial purposes and also by aspiring models who want to prepare portfolios of their photographs. The National Institute of Pharmaceutical Education and Research (NIPER) here has been engaged by the National Pharmaceutical Pricing Authority (NPPA) for creating a data base for label composition of all drugs and pharmaceuticals manufactured in the country. The health of students has become an item of priority with schools. At a five-day camp held at the Bhawan Vidyalaya School, Sector 15, doctors discovered that much needed to be done to ensure oral hygiene of the students despite several attempts to create awareness among them. The inauguration of a roundabout maintained by the malaria wing of the UT Administration by the Director Health Services, Dr Rameshwar Chander, today marked the launch of information, education and communication (IEC) activities for prevention and control of malaria. The Second Samuel Banerjee Memorial Badminton Tournament organised by the Chandigarh Badminton Players Welfare Association which came to a close on Sunday last has proved that if there is will there is a way. The four-day tournament dedicated to the memory of the late Sports Editor of The Tribune, became highly popular with the players who were drawn from Punjab, Haryana, Himachal Pradesh, J&K, Rajasthan, Delhi and Chandigarh. Karan Bahadur Gurung of the Indo Tibetan Border Police was declared the best gymnast on the penultimate day of the 29th Chandigarh State gymnastics championship by scoring 41.80 pt here today at the Sector 7 sports complex. In the team championship also, the ITBP team cornered glory while the Sports Complex, Sector 7, was declared second and the DAV College Coaching Centre secured the third place. Satluj Public School, Sector 4, Panchkula, cornered glory in the under-14 and under-17 girls’ section at the Satluj Open Lawn Tennis Tournament, which concluded here today on the school premises. Principal Krit Serai said the aim of the meet was to create awareness among city schools in tennis. He said the event would be made annual.